So you’ve made up you’re mind to plan a party or a wedding in a charming rustic inspired garden instead of the typical banquet hall? That’s awesome, outdoors mean fun and freedom, and along with the fun comes the best day of your life. Moreover, with the average cost of renting banquet halls being more than $1,300, it makes sense why one would opt for alternative venues – like summer camps which don’t cost much upfront. But while you might be over the moon that you’ll get what you’ve always dreamed of, don’t forget about what makes outdoor parties and weddings a success – the perfect tent. Party & wedding tents don’t just shelter you and your lovely guests from the rain, wind or too much heat from the sun; they also create an atmosphere of decadence. Whether you’re holding a wedding reception or a party on a meadow or at the beach, the right tent has the power to turn any space into a romantic spot that is perfect for your love story. When it comes to party & wedding tent rentals, sailcloth tents are among the most popular options. What makes Sperry tents a beautiful and romantic option is the fact that they have quite a history that dates back to 1979. 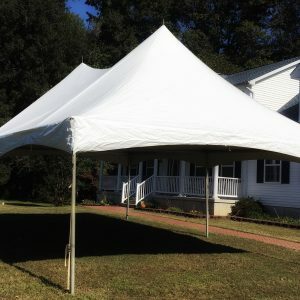 Moreover, these peaked tents are unique since they use sailcloth material. The translucent sailcloth material illuminates the space with warm natural light to create a cozy atmosphere. At the end of the day, sailcloth tents never fail to produce a sensational exterior. 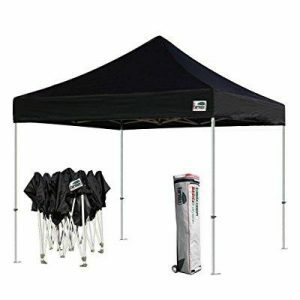 Another great feature is that Sperry tents are available in both frame and pole versions. Inspired by Traditional Native American tipi, these tents are atmosphere creators. Not only do they come in unique shapes but also promise to create a cozy and chill atmosphere. Their tall peaks can make any party interesting. Teepee tents are available in a variety of sizes which makes them an incredibly versatile option. Therefore, whether you want to bohemian themed wedding reception or a rustically inspired cocktail party, teepee tents are an ideal choice. Their flexibility also allows you to plan both small and large events. These types of tents are an excellent choice for large parties. So, if you’re looking to host a carnival or a corporate outdoor party, canopy tents should be your go-to. One of the downsides of the canopy tents is that their aesthetics aren’t something to brag about. However, while they might not be as aesthetically pleasing as other types of tents, they are easy to set up, are economical and an excellent backup option. Besides, canopy tents can be considered to be the most basic party & wedding type of tents. These types of tents are a must-have for all party and wedding tent rentals. But why? It’s straightforward because they are perfect for all kinds of parties and weddings. The pole tents have high peaks that are supported by guy-wires and poles. Another fantastic thing about pole tents is that they are affordable and can be decorated to create gorgeous and elegant tents for more sophisticated parties or weddings. The problem with pole tents is that they cannot be used on concrete since staking is part of the installation. Moreover, the poles inside can be a pain since they obstruct views in the tent. Frame tents are like the alternative option for people who want a pole tent but without the annoying poles. Unlike pole tents, frame tents are free standing and utilize a metal frame for support instead of poles. Frame tents offer versatility and make the inside of the tent more spacious. Unfortunately, their flexibility comes at a price since aesthetics are an issue. However, one can always decorate the exposed metal frames to improve on aesthetics. Marquee tents can be considered to a sophisticated hybrid of the frame and pole tent. It is a perfect combination of aesthetics and convenience. The classic marquee is a gorgeous tent that will work with any venue or party. If you want to achieve an intimate atmosphere for the wedding, then the Marquee tents are an excellent option. While yurts are originally from Central Asia, they don’t necessarily have to be used in Mongolian themed weddings or parties; yurts can be exquisite in any event. Unlike typical tents, yurts have a self-supporting roofing structure. The wood ribbed roo plus the lattice walls of a yurt help create breath-taking interiors that can be decorated and styled to suit any type of occasion. However, while these type of tents blend really well with all themes, their small sizes make them an unsuitable choice for large weddings or parties. – The Cost: What is the price of renting a pole tent? What about a teepee tent? Choose a tent that suits your financial position. – The venue: Choose a tent that suits the venue. – The number of guests: for instance, if you’re planning to have 200+ guests, then yurts shouldn’t be your first pick. Renting a marquee tent for your wedding makes sense instead of buying. However, when looking for party & wedding tent rentals make sure you pick the best. After all, you want to work with a company that will go above and beyond to help you host an epic party or wedding.